The department offers a wide range of diagnostics and treatment of chronic and acute diseases in the general and visceral surgery area. The surgical team of doctors have been educated and trained in Berlin, Germany, and have actively been there in surgery for many years. 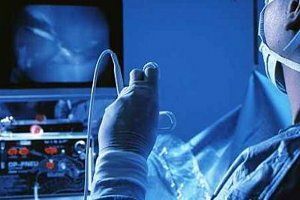 Primarily the spectrum of surgery is of abdominal cavity diseases, for example of the gastrointestinal tract or the gallbladder and biliary tract (gallstones, biliary colic). Furthermore it includes all hernia surgery (inguinal hernia, umbilical hernia, abdominal wall hernia, incisional hernia). Integrated into the department are both vascular and plastic surgeons. Diseases in the field of pediatric surgery are treated as well. Not every disease requires surgical treatment - often enough a medicamentous therapy appears to be sufficient to treat a disease. If, however, surgery is necessary, the department has excellent staff and technical capabilities to perform surgical procedures. As often as possible the surgery is performed as part of a laparoscopy with minimally invasive techniques (keyhole surgery) thus providing modern conveniences for the patient. For this purpose the operating rooms are equipped with modern systems and instruments. In the urgent care of surgical diseases it is possible to use any modern diagnostic procedure. In addition to ultrasound and conventional radiography, this also includes the computed tomography (CT) and magnetic resonance imaging (MRI). Furthermore, endoscopic procedures of the stomach and colon can be arranged.